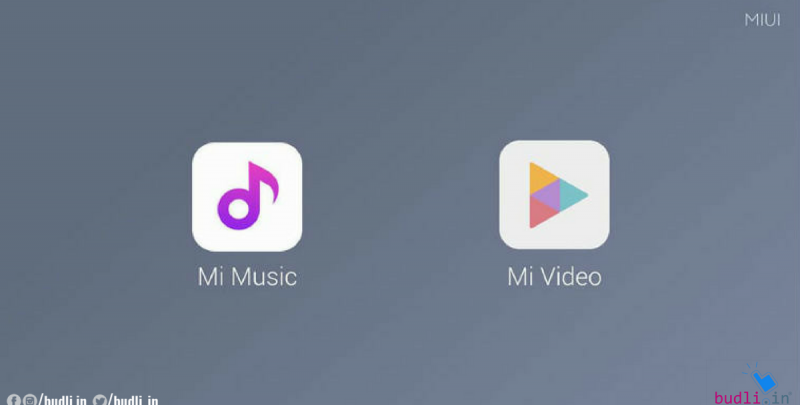 Xiaomi has recently launched their two new apps named Mi Video and Mi Music in India. Both the apps are available for free and come with a content partnerships with various firms. Although both the apps are launched, the Mi Music app will be available right now in the store but the Mi Video app will be available from the next week. Mi Music is made possible with the tie-up of Hungama Music. This service has more than 10 million songs for people to listen to. Additional features of Mi Music are that it has a dynamic lyrics feature which is just like it sounds. This feature displays the song lyrics while the song is being played. This is something a lot of karaoke singers will love to use every day. On the other hand, Mi Video app brings together a lot of media providers into one platform like – AltBalaji, Viu, TVF, SonyLIV, Hungama Play, Voot, and Zee5. The entire collection of video content sums up to 500,000 hours of watch time with more than 80 percent of the content being free. The Mi Video app also has a quick cast feature which lets the users cast the video that they are currently watching on to the TV screen just with a push of a button. The app does not only stream content online but also plays media from the phone memory as well. It supports formats such as AVI, MP4, MOV, MKV, MKA, MPEG and M2TS. Also, additional features such as personalized recommendations on content on both the Mi Video and Mi Music app will be rolled out soon. Features like – Picture in Picture (PiP) and different filters for music and languages will also be added soon says Xiaomi. Customized themes play a major role in Xiaomi’s success. Therefore the users will be given an option to change the themes for Mi Music and Mi Video app. Are you a Xiaomi fan? Do you love anything and everything that they do? Then I’m sure you are already in love with these new apps. Is your current Xiaomi device an old model or do you want to become a part of the Xiaomi community? Then you need to get yourself a latest Xiaomi device. But that is a costly affair you say, I get it! But what if I told you that there is a cheaper and yet better alternative to get yourself a Xiaomi device for lower than the market price. No, I am not talking about the second-hand phones, I’m referring to the refurbished smartphones. If you are wondering where you can find good refurbished smartphones for yourself. Then you are already in the right place, your search ends here. Budli is the largest re-commerce platform for refurbished products. We have a huge range of products ranging from laptops, tablets to smartphones. Visit budli.in and grab your next best Xiaomi smartphone before it is too late. Because at budli.in the smartphones sell like hot cakes. So what are you waiting for? Get yourself a new smartphone now! !